It’s a common belief that after death, humans will be judged by some form of higher power in the afterlife. Typically this power is omnipotent, capable of seeing all that a person has done, thought, and felt. But what if, like a photo album, this higher power only had access to our memories? What if we were forced into extreme situations to expose what’s truly in our hearts? 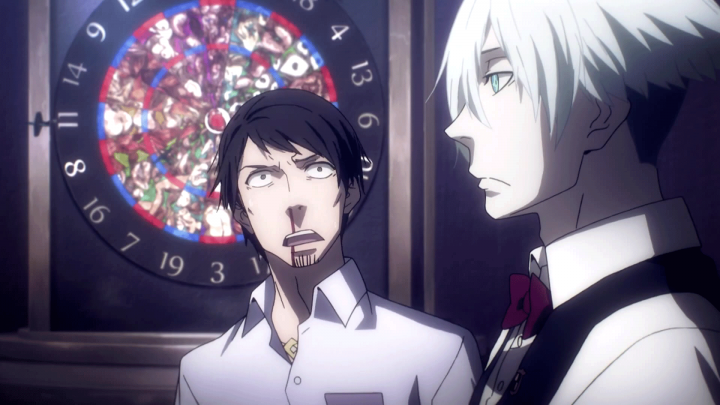 Death Parade takes on these questions with a unique approach, wrapping them in the guise of a bar with lounge games. Guests take part in psychologically-crushing battles of games like darts and bowling for a second chance at life. In this process, filled with desperation, are their inner selves revealed. It’s a mature, well-written, and often subtle show that challenges the audience to interpret the meanings of life and death for themselves. Death Parade‘s goofy and light-hearted opening sequence betrays its intense, serious subject matter where people are playing for their lives. Not literally their lives though, since every human character who visits the bar called Quindecim is already dead. Rather they are playing for the arbiter’s judgment to be either reincarnated or be cast into the void, a soul graveyard of sorts. Quindecim’s bartender, the stoic Decim, is the arbiter who oversees each pair of guests as they descend from their respective elevators. With no memory of having died, guests are told to play a game against each other — or face terrible consequences. A game is selected via roulette, and the judgment of their souls begins. 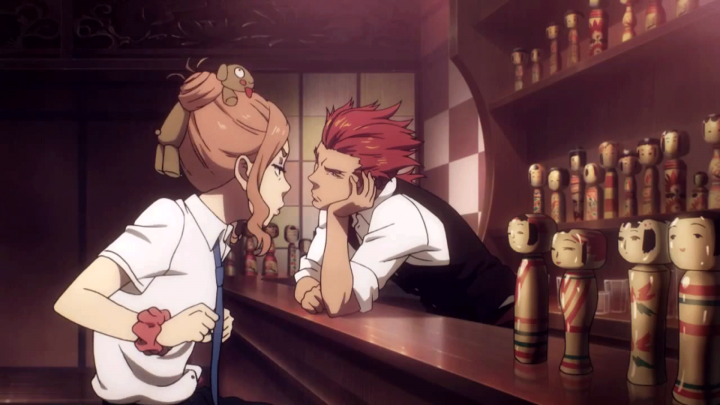 Each pair has a reason why they arrive at the bar together, and unraveling this mystery is one of the anime’s highlights. Games in Death Parade take on the form of classic lounge games like darts and bowling, with unpleasant twists to the rules that are meant to create extreme emotional stress. In darts, every region on the board is mapped to your opponent’s body parts. Striking a region will inflict pain on that body part, with higher points scored sending greater pain. These games quickly devolve into frantic mental battles between guests. Newlyweds Machiko and Takashi slowly reveal their dark secrets during their round. College student Shigeru and his opponent search for the connections they had forgotten. Each pair has a reason why they arrive at the bar together, and unraveling this mystery is one of the anime’s highlights. The bar staff adds another layer of depth to the unfolding drama between each couple. Their job is to be arbiters, to make the ultimate decision. But they are only provided with the guests’ memories and are incapable of telepathy. So just like the audience, the bartenders must pay close attention to the guests’ actions during the game and make the ruling based on their observations of their humanity (or lack thereof). This leads to questions of the true meaning behind a person’s behaviors, as it’s not always motivated by the obvious. There’s great fun in uncovering the hidden side of each person, and it’s hard not to analyze every facial expression and conversation for clues. 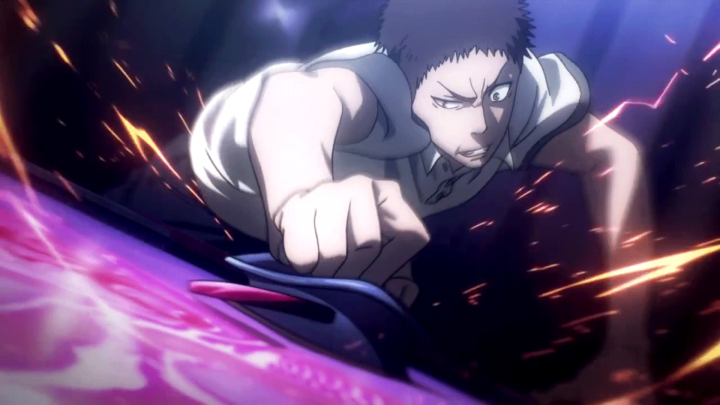 The anime gives us a closer look into the bartenders’ capabilities during these episodes. It’s shown that they have tools to manipulate the games in order to push their guests to their limits. They can alter the playing field, control the movement of game pieces, and even sabotage player actions to incite unpredictably stressful situations. But the still unnamed black-haired bar assistant pushes Decim to think over whether these methods are for the greater good. It’s clear that the bar is not simply a checkpoint to pass through like the pearly gates, and somewhat unsettling to realize that the dead could possibly be judged unfairly. More bar staff members are also introduced to flesh out the organization, with co-worker rivals, upper management, and other operators. There’s even a performance review of sorts to evaluate how well the bartenders react to their guests’ behavior and memories. A second bartender, Ginti, takes center stage for an episode too, which adds more variety to how arbiters can differ in their approach. The hot-headed and sadistic Ginti is quite a contrast to the calm and polite Decim, preferring to rush through his job with a noticeable lack of interest and patience. Instead of being his duty, the games are his entertainment. These episodes are a bit more light-hearted in nature than the beginning few (but just a bit), and it’s a welcome change of pace from the heavier themes of death and morality. 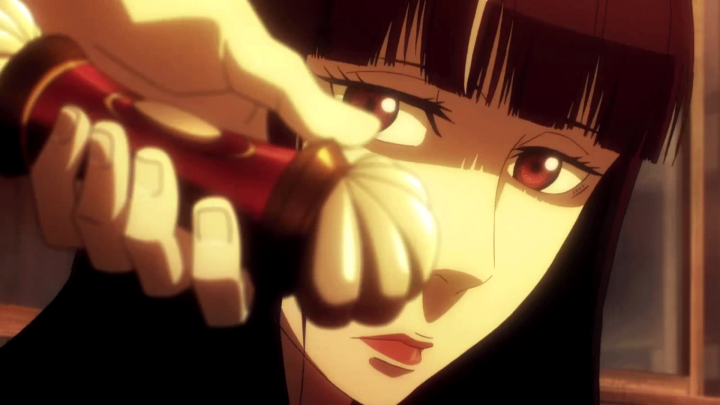 Death Parade kicks into high gear with the most intense pair of guests yet, and they carry the anime into the subject of murder. Like everything about the show thus far, even the act of killing someone isn’t presented in black and white. Both guests’ intentions in life and actions during their game are blurred to the point where it’s possible to simultaneously empathize and detest both of them. This pair of souls is the catalyst to Decim’s doubts of the arbiters’ methods. Are arbiters serving to create the darkness in people’s hearts by pushing them towards it? Can you truly judge a person if their darkness is forcefully put on display? It’s a very striking set of episodes that tread a fine line between “good and evil”. Decim’s doubts come to a head when the black-haired bar assistant’s story finally takes center stage. She’s used as the driving force behind Decim’s ultimate revelation. 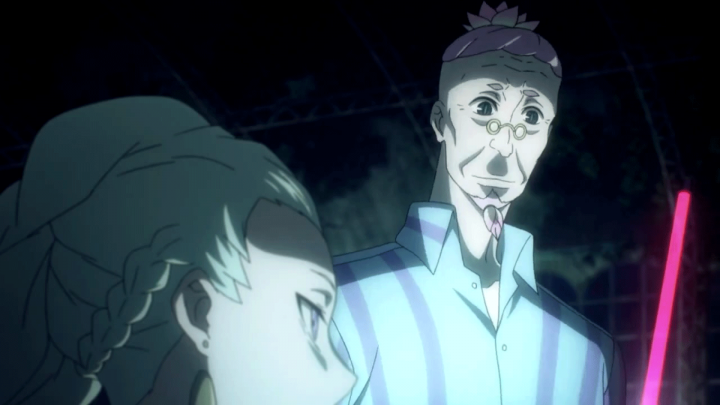 Death Parade‘s tone shifts from one of despair to hope. The afterlife previously was depicted as a place to relive one’s negative memories, to force the dead to exhibit the worst of themselves. 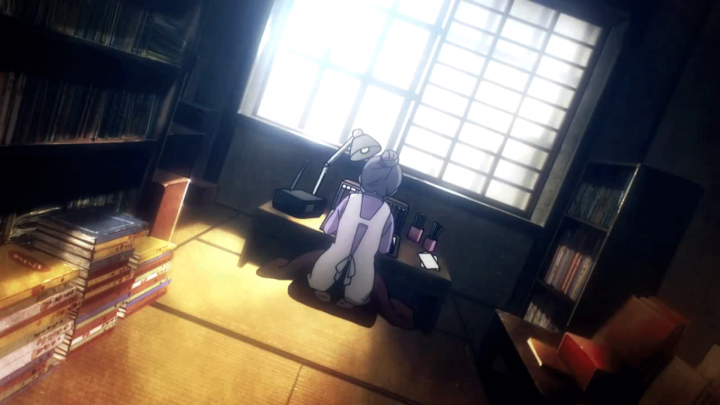 But the anime now makes a point to highlight the positive memories, and what makes life fulfilling for a person. 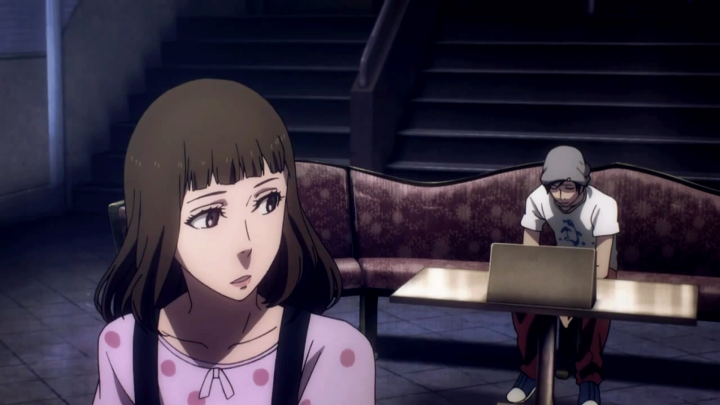 There’s a beautifully tranquil scene with lack of any dialogue, backed only by a single concert piano. It’s these moments where the show is at its best, just letting the audience experience the characters through their minds. For the finale, it’s a powerfully emotional and bittersweet ending that feels complete. It’s not a world-changing series of events that finishes off Death Parade. Decim doesn’t magically start a revolution amongst the arbiters, and the afterlife doesn’t suddenly make radical shifts in its methods. There’s just a seed of change, a new perspective to consider for the bar staff and the audience. Death Parade does elegantly what many other anime do bluntly or by being preachy. The characters don’t espouse philosophy, having verbal battles with villains or rallying themselves up with a monologue. Instead it presents you with the ideas, and you can interpret them as you wish. You become a human arbiter for the show, and it’s this audience immersion that puts it above many other anime of its kind.